The players’ council cast a vote last week to end Kermode’s six-year reign as the head of the association, with three representatives each of the players – including president Djokovic – and three tournament owners voting him out. Both Federer and Nadal had been public in their support of the ATP Tour chief given the progress that has been made off the court under him but the Briton’s contract will expire at the end of the year. Kermode’s tenure has overseen prize money and attendances rise but Djokovic said of the decision: “It was decided that it’s time for us to look into new leadership on the tour. “I will not express my personal views as being for or against. By sharing that information, I expose myself and become liable to breach of confidentiality. “When you have three votes of the player board and three votes of the tournament board, the president is a tiebreaker in many voting circumstances. The Serbian, it is claimed, believed the finances suited tournament organisers more than the players and that Kermode did not do enough to help players below the elite bracket. 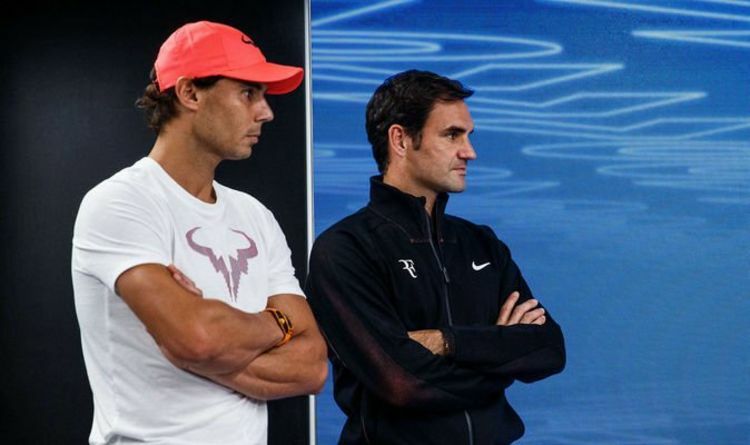 And Federer has expressed his desire to be involved in the decision-making process as to what happens next as he revealed both he and Nadal are on the same page over the future of the ATP. In an interview with Tennis.com, Federer said: “We’re in a very interesting time I think. We need to have a clear plan – and I’m not sure what the plan is. “That’s the big thing I worry about. I do believe we have unbelievable players, great matches, new guys coming through, stadiums are full, prize money’s gone up. Everything’s great, it seems like. “ATP has got their own cup coming, Davis Cup is changing its format we’ll see how that will be, Laver Cup is doing really well. From that standpoint, everything’s actually great. “Then you talk about politics and it’s all of a sudden, ‘What’s going on here?’ I think we really need to figure it out. I’d like to feel the pulse a little bit of where we’re about to go. “Clearly we need to decide who the new CEO is going to be or the political side of the game has to do that. “I would like to take an active role a little bit, to some extent as much time as i have, just to be part of the process. “Because I do care, and if I do care, I should put it a little work as well. “I spoke to Rafa the other day, for quite some time. “He came to the house, we had coffee together. We were just really going through what is going on. “We’re aligned and we agree that we should be talking and coming up with a proper plan.